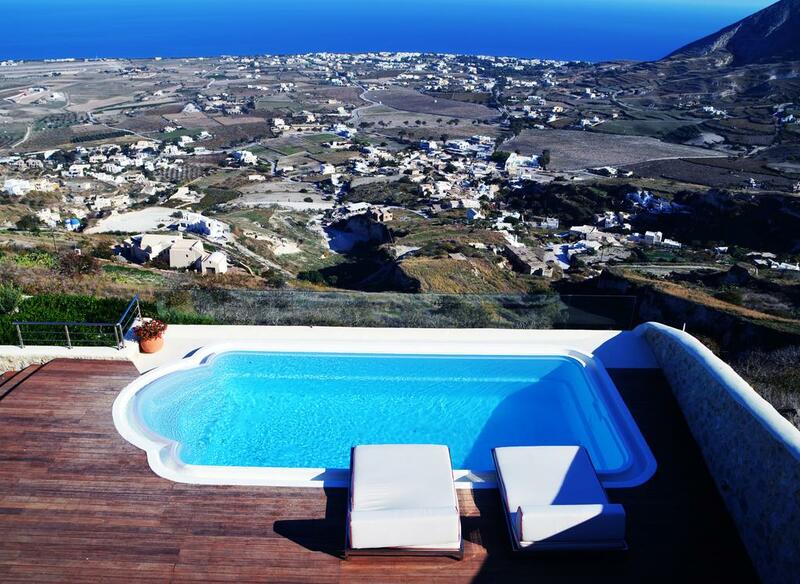 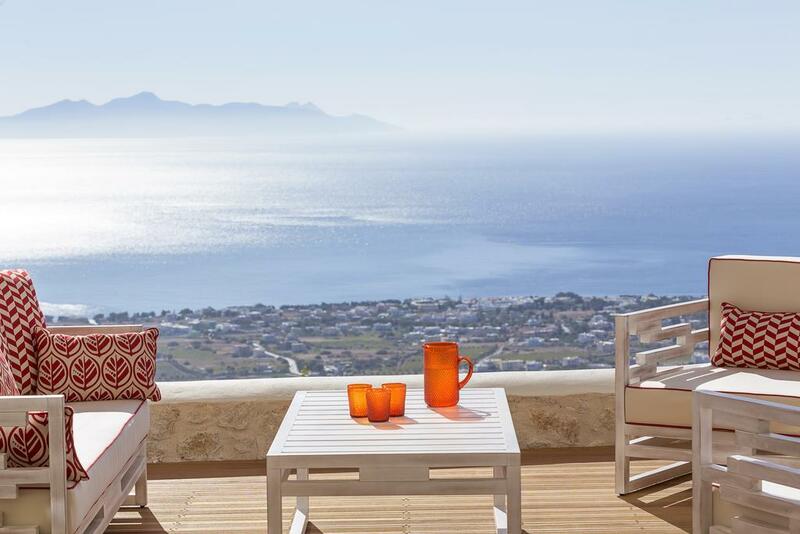 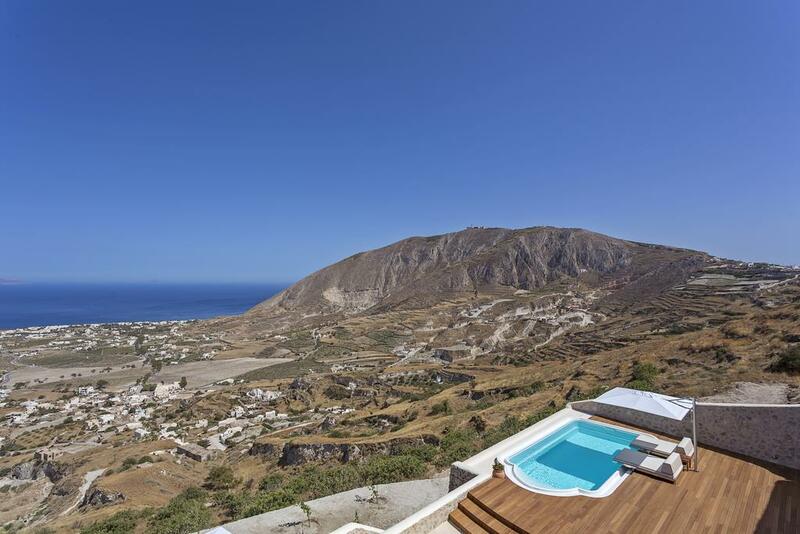 The Kamini, “old Klln” Villa is built on a hillside at Pyrgos picturesque village, overlooking the Aegean Sea and the island of Anafi. 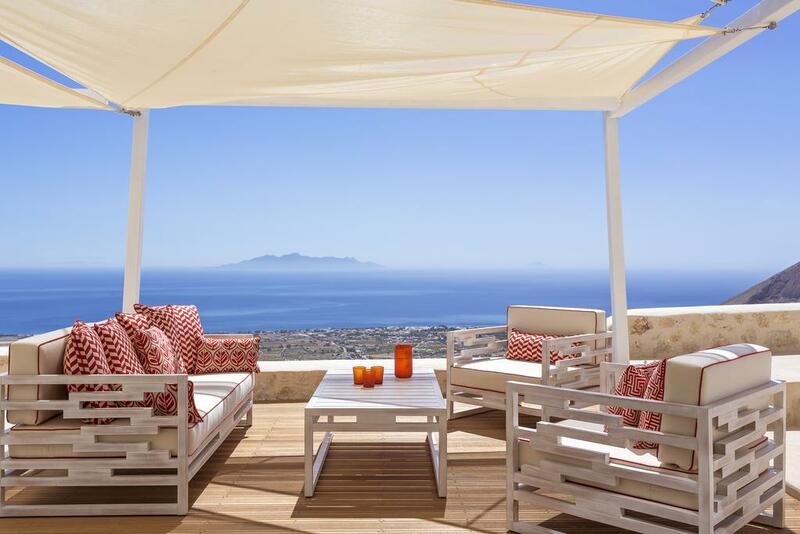 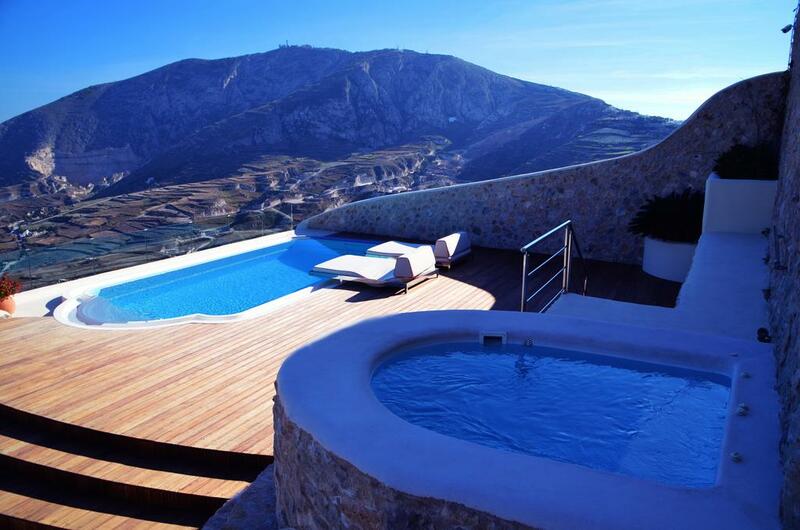 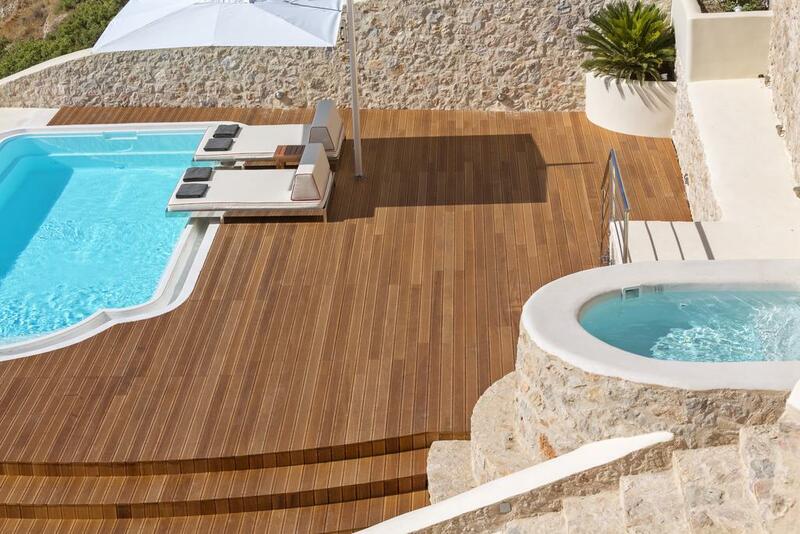 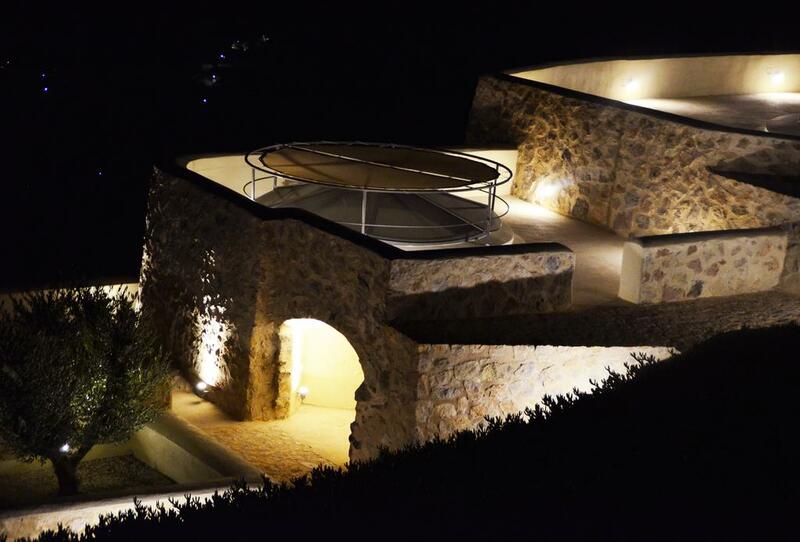 The location is absolutely private and the villa is protected from the indiscreet eyes. 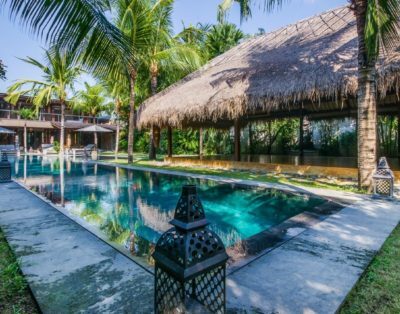 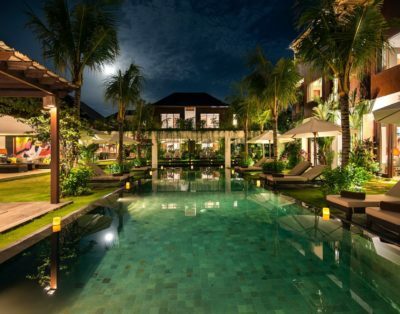 The services provided in this villa are of the highest standards making the property the perfect retreat for couples and families seeking quality time in an exclusive environment. 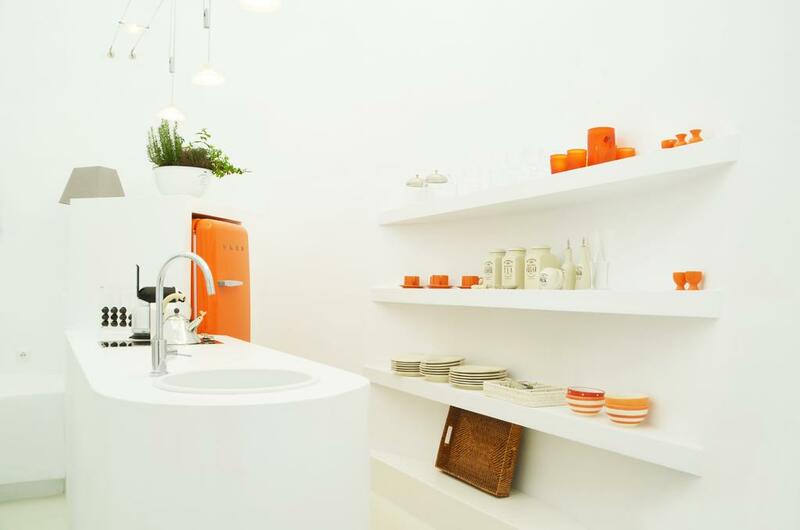 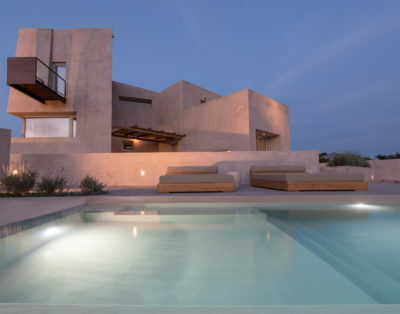 The house is designed with contemporary architecture and minimal modern design. 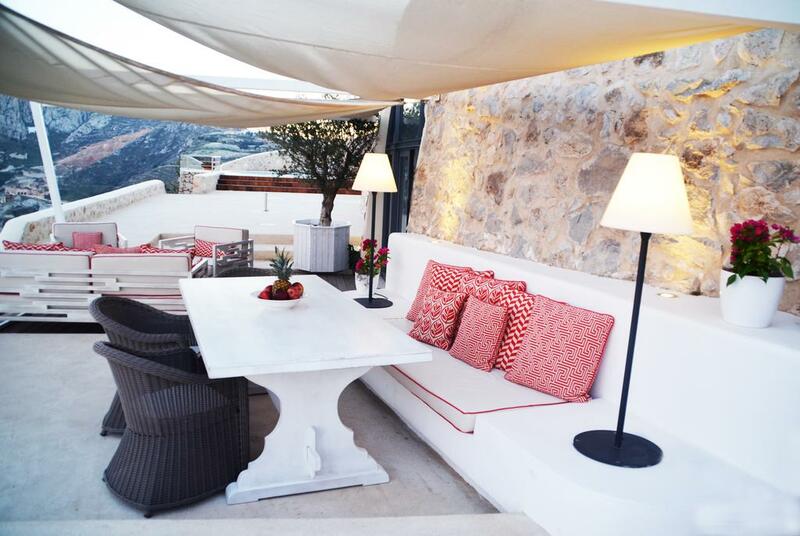 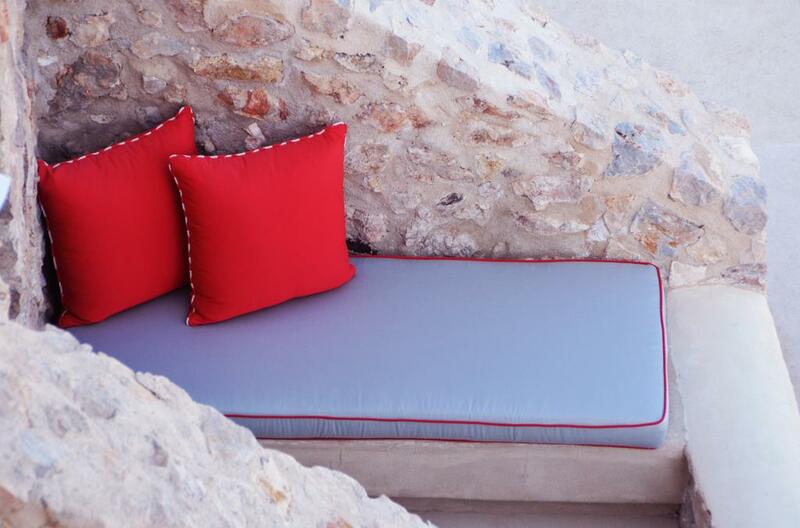 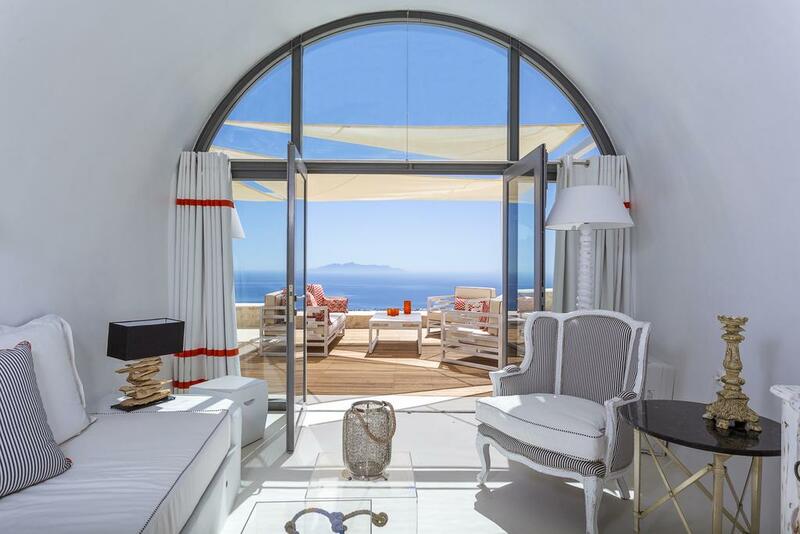 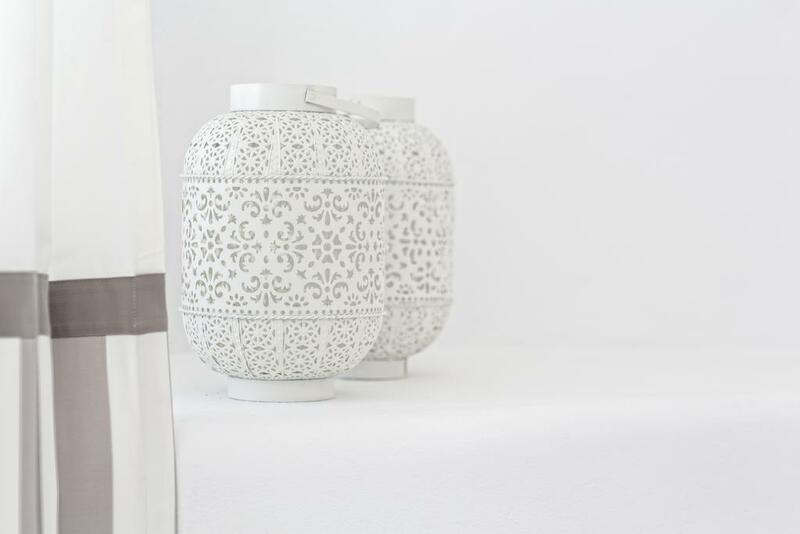 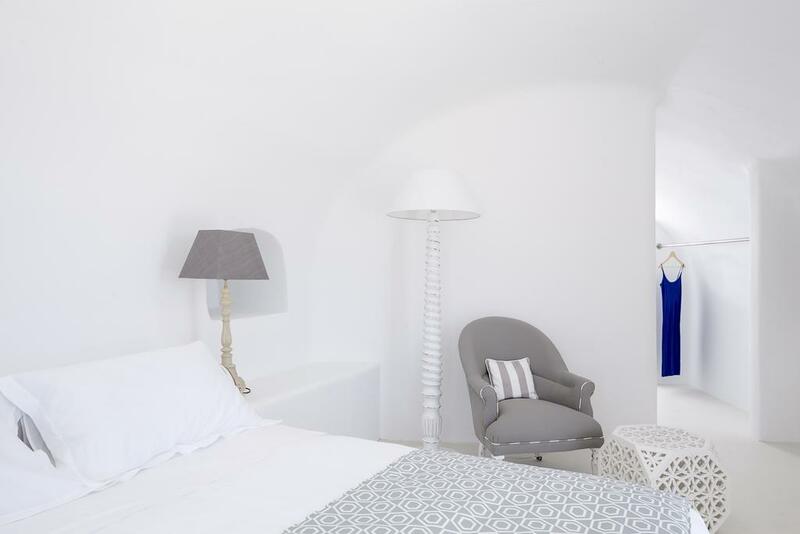 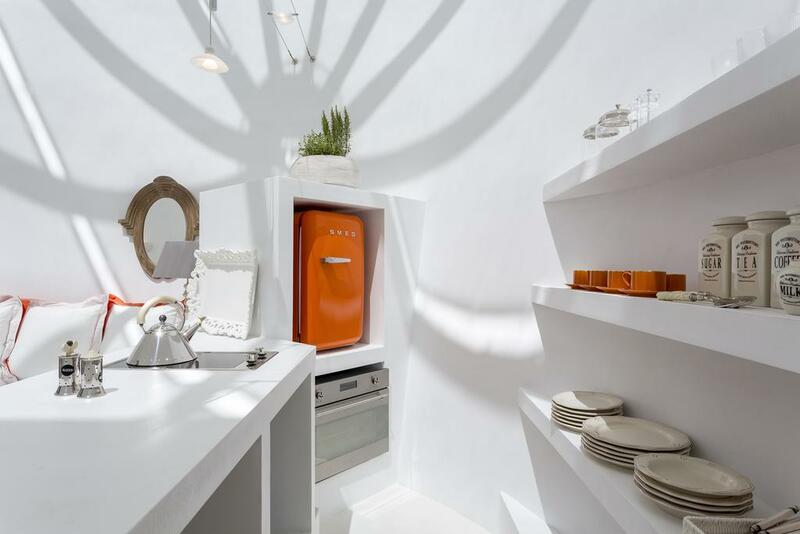 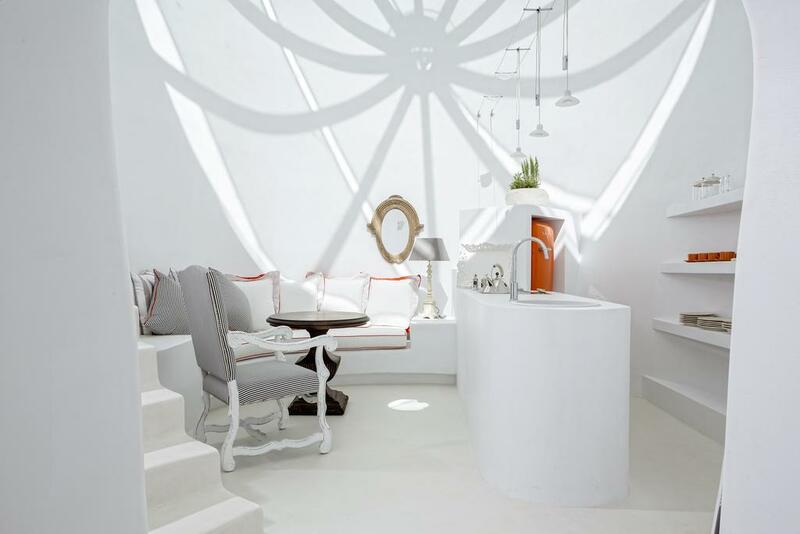 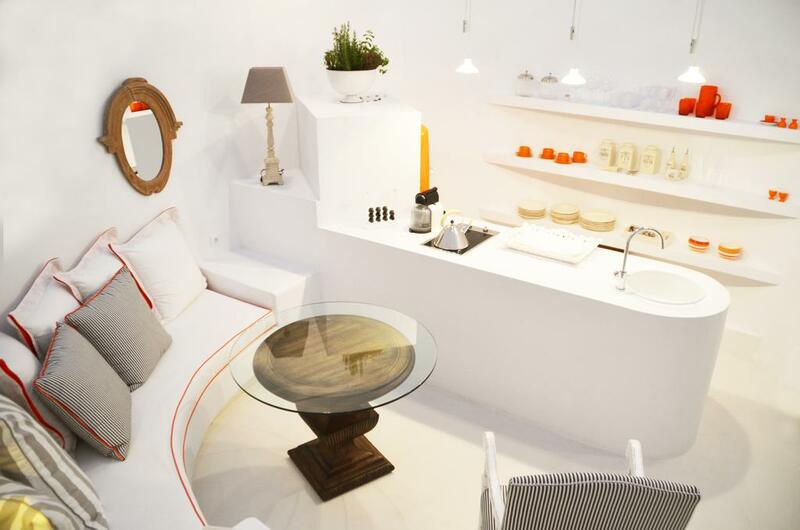 The decoration is elegant and chic combining modern design Cycladic architectural elements. 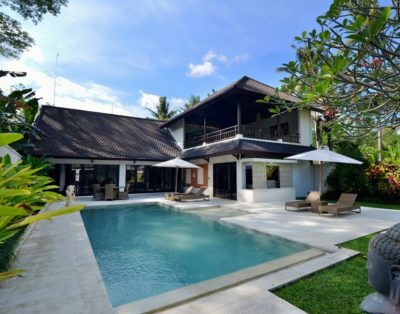 The villa features a comfortable living room with loungers and sofa bed, , Master Bedroom with Queen Size Bed, bathroom with shower in minimal style. 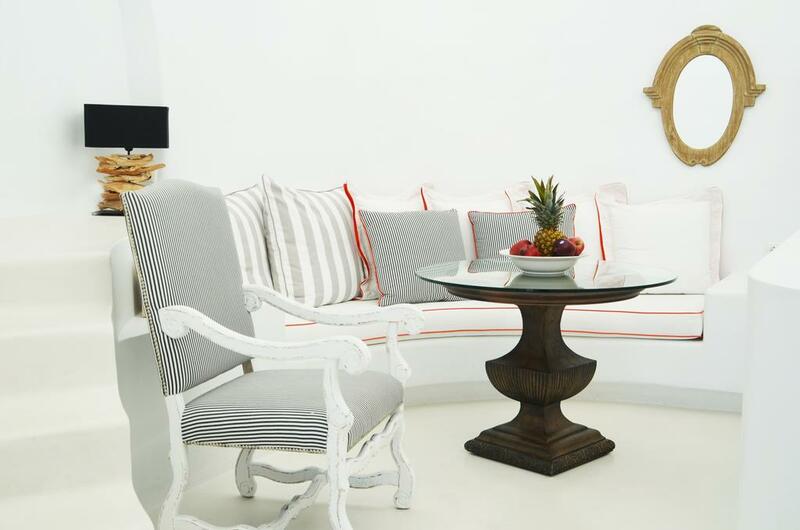 Private entrance and veranda with a spacious outdoor sitting area equipped with comfortable lounge chairs and sofas plus outdoor dining area for 8 people. 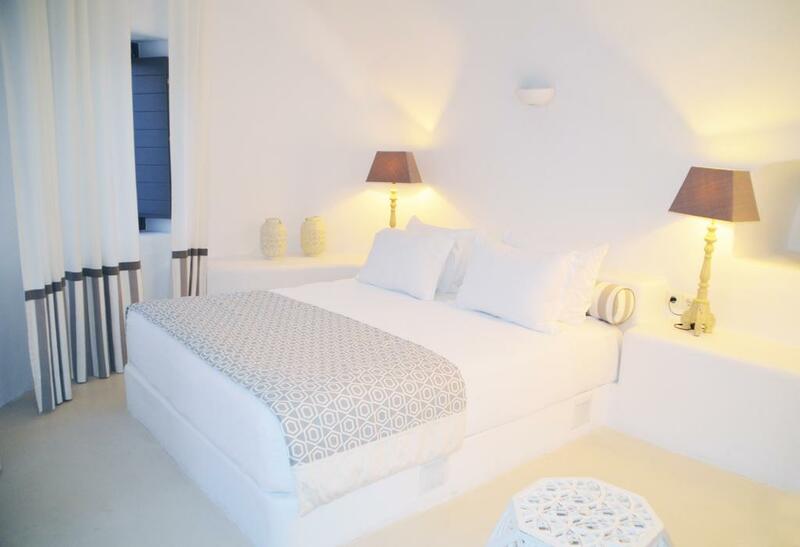 A separate entrance leads you to a second bedroom with Queen Size Bed, full bathroom with shower in minimal style, private veranda with a spacious outdoor sitting area with comfortable lounge chairs. 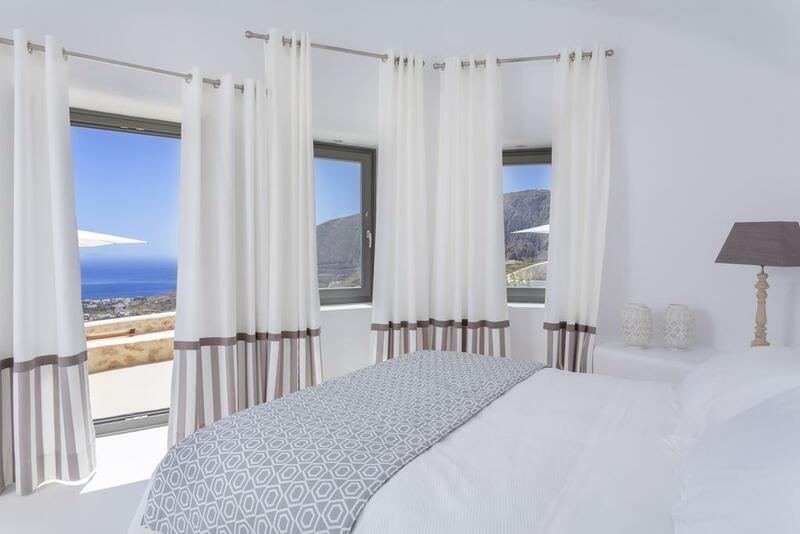 The villa also features one fully equipped kitchen with separate entrance and one kitchenette situated in the main house that serves the main living area. 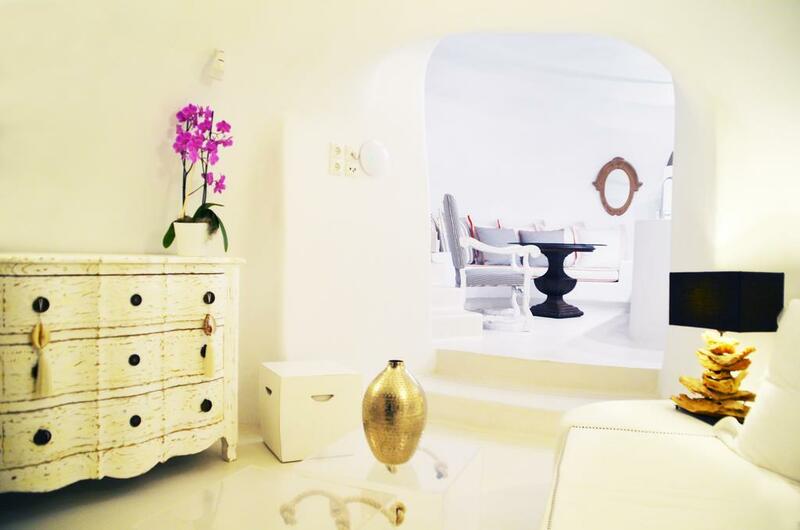 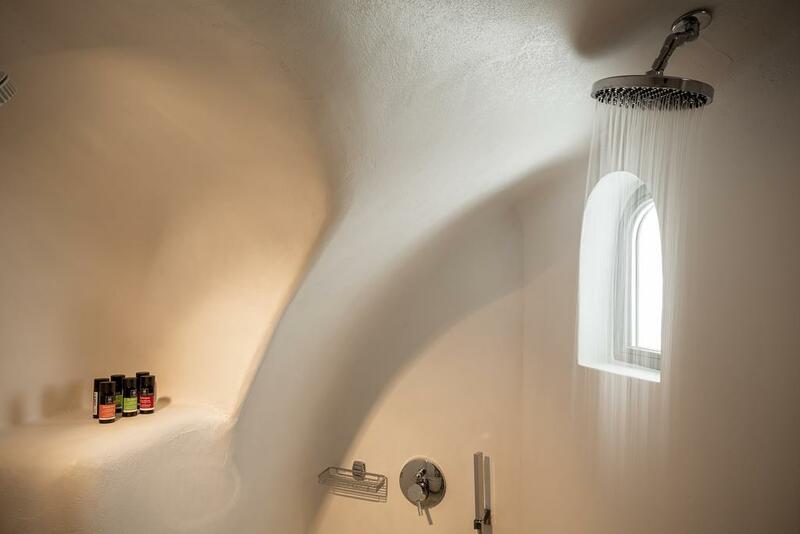 Optionally extra separate cave style Guesthouse for two persons. 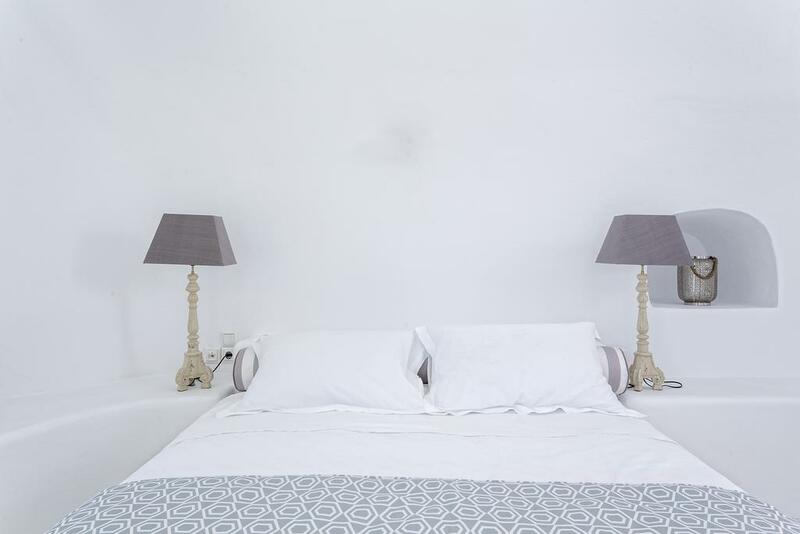 Except the two bedrooms offered on the main house, guests have the option to take additionally an extra guesthouse with separate entrance situated a few meters from the main house. 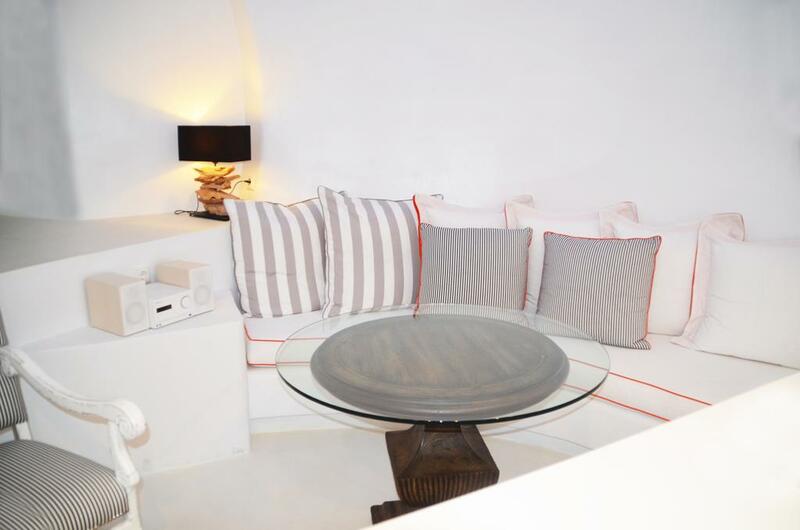 This extra guest house features large living room connected to an open plan fully equipped kitchen, Master Bedroom with Queen Size Bed, minimal style bathroom with shower, private veranda with a spacious outdoor sitting area with comfortable lounge chairs, sofas and outdoor dining area. 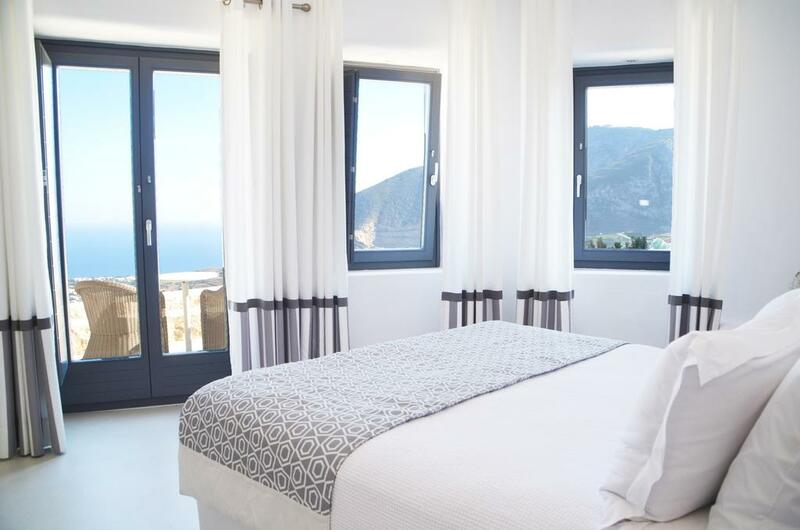 The sea view villa features outdoor Swimming Pool, outdoor Jacuzzi, air conditioning, satellite Television, , stocked mini bar, direct dial phone, Wi-Fi internet access, safe deposit box, hairdryers, luxury linen, robes and slippers, bathroom amenities, outdoors loungers overlooking the Aegean Sea. 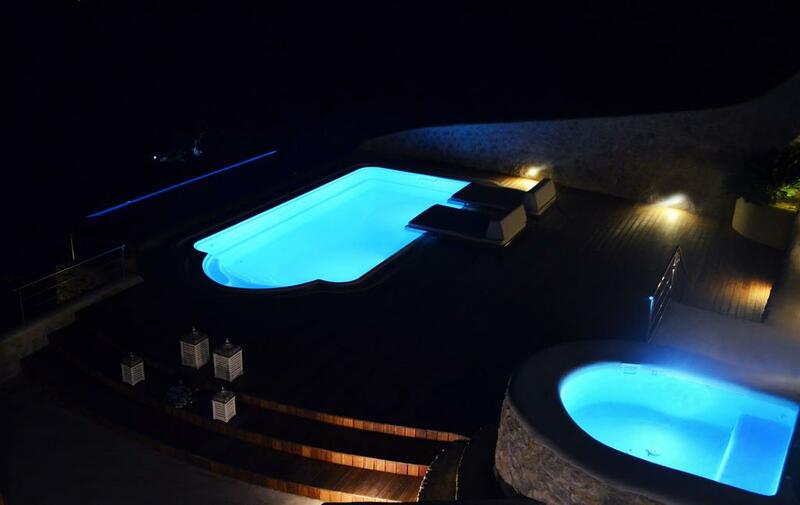 Pool heating is available upon request and with extra charge.